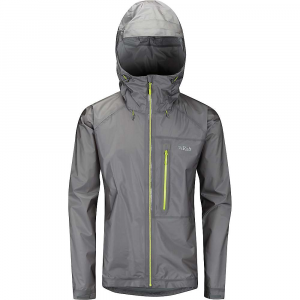 The Cubed Jacket is a great do-all jacket for adventure travel or just walking down the street. 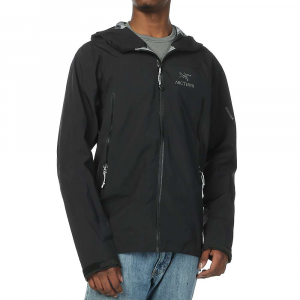 Super waterproof and breathable, it has enough room to pair it with a down sweater, vest, or a wool sweater. With 10 pockets, four of which have security clasps, there is a place to store just about anything. 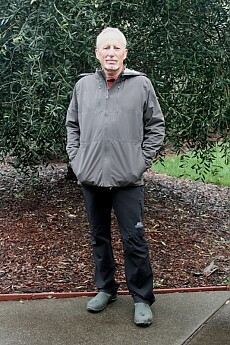 I received the Clothing Arts Cubed Travel Jacket for evaluation from the manufacturer in late September, just in time for what became a very wet fall and winter in Northern California. 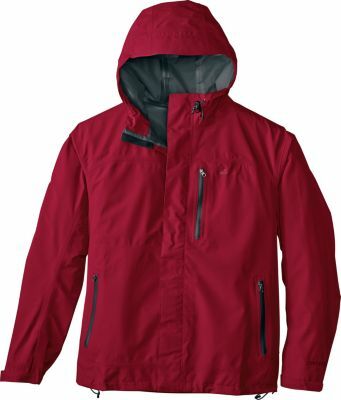 This sleek styled waterproof jacket has been my Go-To jacket for anything from going to a Broadway show in New York to hiking the hills of my local state park. I really like how versatile the jacket is. I can wear it alone when the temperature is moderate or layer it with a sweater, fleece or down sweater when the temperature drops into the 20's. 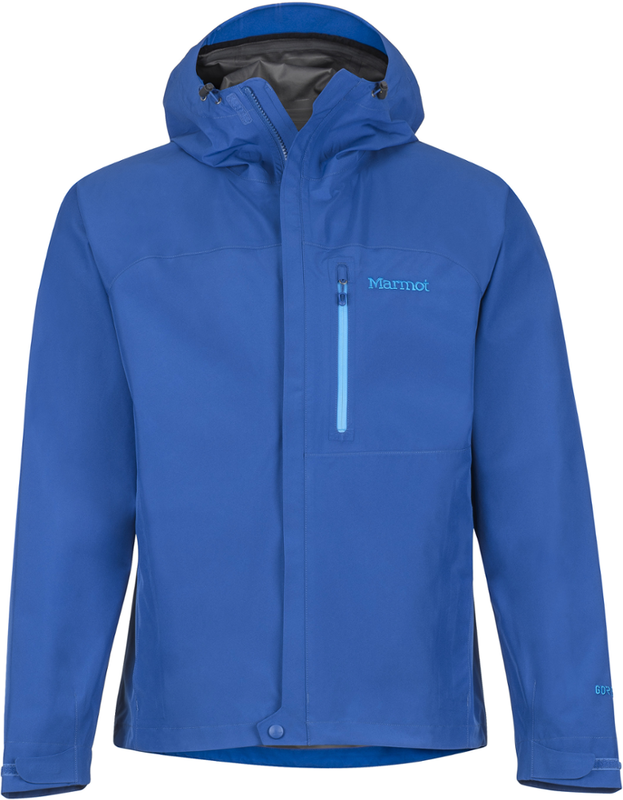 Constructed of a fabric featuring an eVent-VStorm membrane, the jacket is super waterproof but still remains highly breathable. The 3/4 length does a good job of keeping my rear end dry and makes the jacket a lot more useful in a wide range of bad weather. 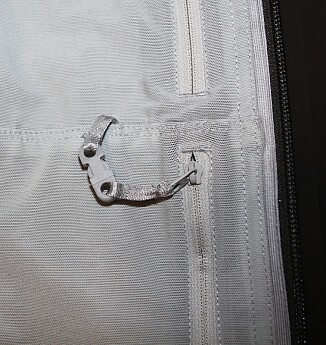 All exterior seams are taped and the exterior zippers are both waterproof and covered in waterproof fabric. The sleeves feature velcro closures and the waist cinch adjusters have cleverly been placed inside the handwarmer pockets. 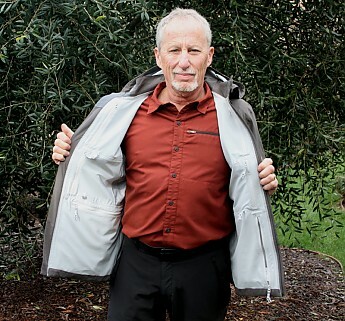 One of the signature features of the Cubed Travel Jacket are the six interior pockets, four of which have a neat pick-pocket proof security catch. These are a great place to store a wallet, phone, keys, passport or anything else you need to keep safe. 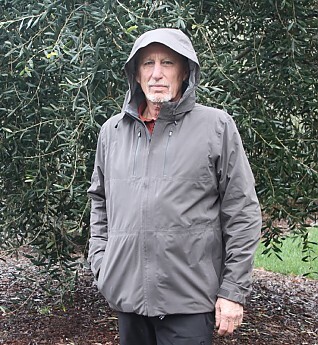 In addition, the jacket features two handwarmer pockets and two breast pockets that can be opened from either the inside or the outside of the jacket. I chose a Slate-colored jacket, this neutral color paired well with a wide range of clothing. A medium size was correct for my 5'9", 165-pound frame and the jacket fit well while still allowing me complete freedom of movement, whether worn alone or layered. The zip-off adjustable hood has come in handy many times, including getting caught in a massive downpour in New York City, though I did manage to break one of the hood snaps almost immediately. Standing up to rain in the 2-inch-an-hour category is about as good a test as a jacket can get. After many uses over the past four months, the jacket looks as good as the day I got it. 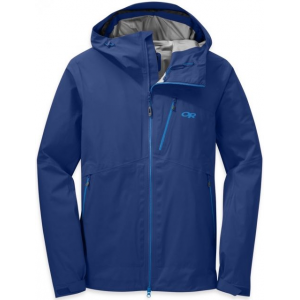 While I wouldn't take this on a backpacking trip it has worked really well when a trip combines both hiking and sightseeing and it's great as an everyday jacket in my climate. I appreciate that while it is a great technical shell, it crosses over into the to the more mainstream look I want when going out on the town. 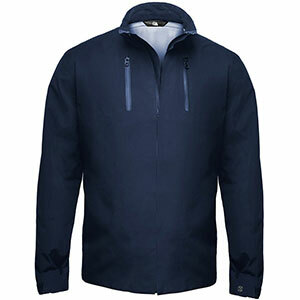 The security aspect of the jacket provides for peace of mind when in crowds or traveling out of the country. 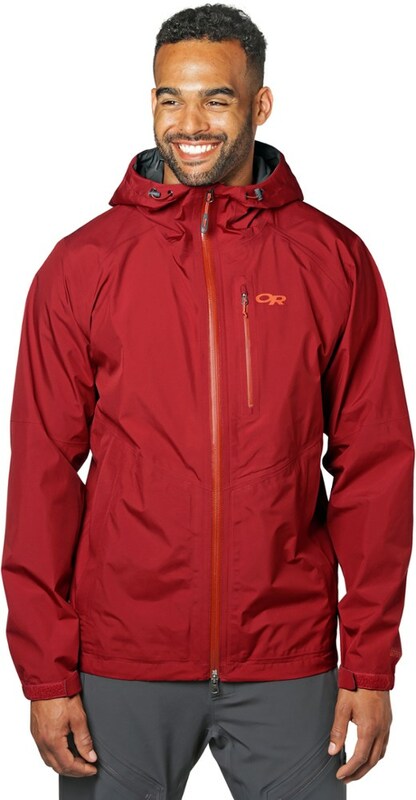 While the jacket isn't cheap, the Cubed Travel Jacket gives you a lot of great features for the money. The Clothing Arts Cubed Travel Jacket is not available from the stores we monitor.